Register for 2019 Art of Soul below. To order by hard copy, download this registration form and mail with check to Highland Arts Council, PO Box 33, Highland, Illinois 62249. 2018 Art of Soul is completed. If you'd like to be placed on the contact list for 2019, send a message by clicking here. For seven years, the Highland Arts Council has presented a 5-week workshop series for artists and non-artists to experiment freely with various mediums. Local and national artists share their expertise with 60 - 70 attendees for two hours every Thursday. Through the years, we have experimented with watercolors, acrylic painting, origami, polymer clay, felting, screen printing, ceramic clay, drawing, pastels, sculpting with fabric, macrame, calligraphy and more. All materials supplied. 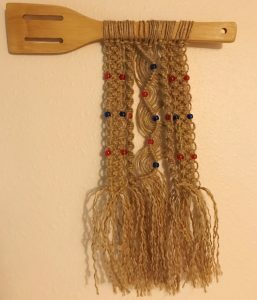 On Thursday, February 21 from 7 pm – 9 pm, Lynnette Schuepbach and Pat Imming will show how to create a wall hanging with macramé techniques. Lynnette is an artist and president of Highland Arts Council. Pat is a retired art teacher and a director for HAC. 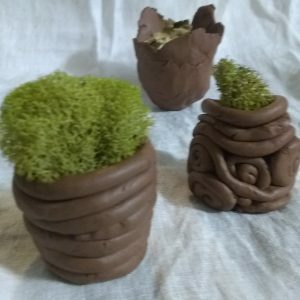 Sarah Walker will teach how to make coiled clay pots on Thursday, February 28 from 7 pm – 9 pm. Sarah is a professional artist from Highland. She earned her Bachelor of Fine Arts degree from Plymouth State University and currently serves on the Highland Arts Council. She is pursuing her Masters of Fine Arts degree at SIUE. 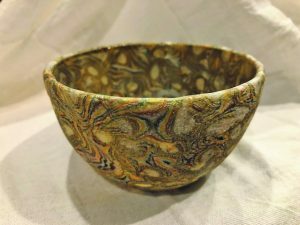 On Thursday, March 7 from 7 pm – 9 pm, Peg Bellm, a professional artist, will help you create a bowl with polymer clay. Peggy Bellm creates one of a kind items using polymer clay and is an award-winning artist at Art in the Park. Paint an homage to Romanian painter Stefan Luchian (1868-1916) with acrylics taught by Christy MacMorran on Thursday, March 14 from 7 pm – 9 pm. Christy was an award-winning artist at Art in the Park in 2018 and teaches classes in various mediums. Paulette Todd, artist and teacher, will share her techniques for painting with pastels on Thursday, March 21 from 7 pm – 9 pm. Paulette regularly teaches classes in her business, Kids Art Club. 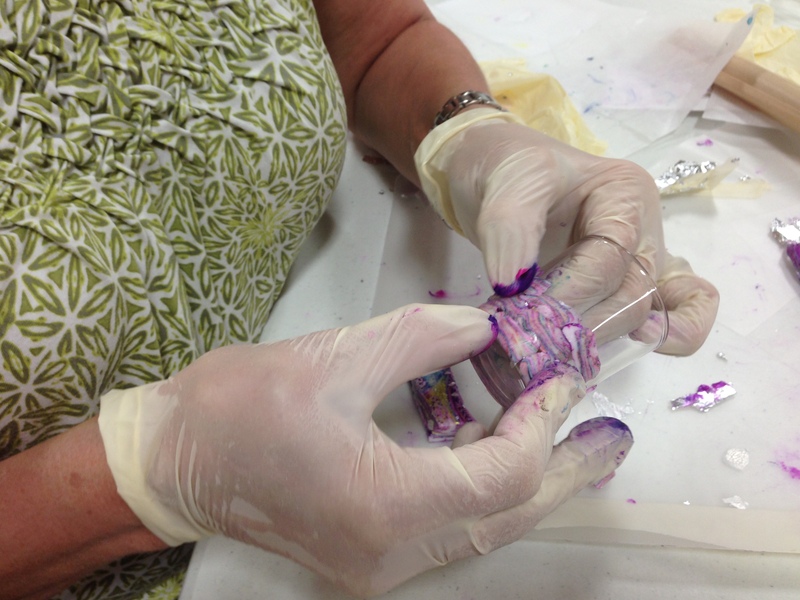 Session II - Polymer Clay: On February 23, Peg Bellm-Carnley, a professional artist, will help you cover votive candle holders with translucent polymer clay which allows light to penetrate. Peggy Bellm-Carnley creates one of a kind items using polymer clay and is a frequent exhibitor at Art in the Park. The intricate way she manipulates colors creates unique art each time. Session III - Acrylic Painting: On March 2 you will receive step-by-step instruction for using acrylic paint on canvas. 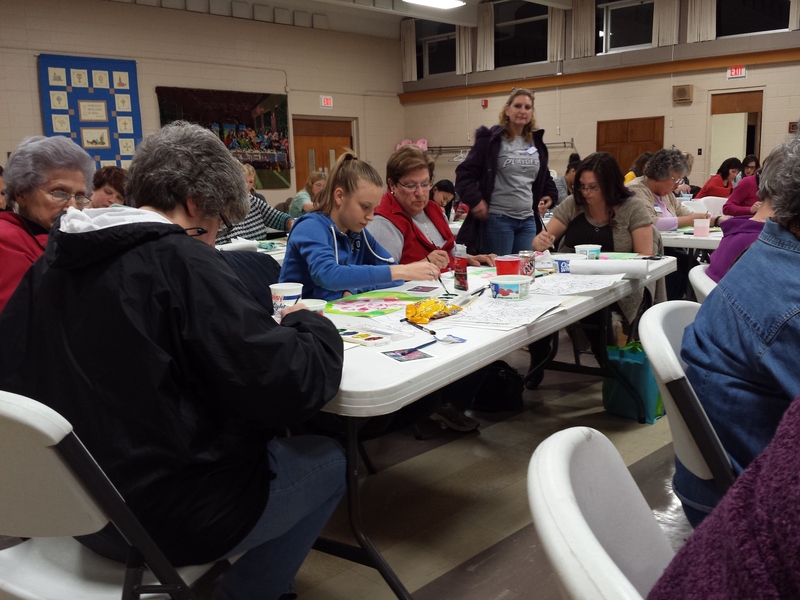 Paulette Todd, owner of Kids Art Club, will give the basics for expressing yourself through acrylic paint. Paulette has also taught pastels and charcoal drawing. This is her fifth year sharing her expertise with Art of Soul. Session IV - Watercolor: Valerie Bernardino from Cincinnati, Ohio, will teach watercolor painting on March 9. She will show how to pour color over the background prior to painting to create a unique background for each painting. She is a professional painter who has taught watercolor classes across the nation and has had several one-woman shows. Session V - Drawing with Geometric Shapes: Nicole Shanks, artist, will teach drawing with geometric shapes on March 16. This abstract painting will be unique for each participant although step-by-step instructions will be presented. Nicole is also a clay artist and has exhibited at Art in the Park. She now serves as Secretary for Highland Arts Council. Session I - Watercolor: Mary Beth Kuenstler, the curator of the Starlight Visual & Performing Arts Studio and Gallery in Highland and a former high school art teacher at Greenville High School. Session II - Painting with Pastels: PauletteTodd, teacher at Kids Art Club for 12 years. Session III - Wire Sculptures: Suzanne Lowry, a resident artist at Framations Gallery in St. Charles, MO, and Vice President of the Gateway East Artists' Guild and artist at Art in the Park. Session IV - Ceramic Clay: Sarah Walker, a professional artist with a Bachelor of Fine Arts degree from Plymouth State University and Secretary of Highland Arts Council. Session V - Fabric Sculptures: Pat Imming, a retired Highland Community Schools’ art teacher, artist-in-residence in Illinois and Missouri, and designer of the ceramic mural on display in the Highland Square. Session I: On Thursday, February 15 from 7 pm – 9 pm, Lynnette Schuepbach will show how to twist and turn simple wire into sculptures representing nature and human figures. Lynnette is an artist and president of Highland Arts Council. Session II: Christi Dea, a fabric and fiber artist living in Highland, helps you create animal shapes using needle felting on Thursday, February 22 from 7 pm – 9 pm. Session III: Paint with acrylics with Christy MacMorran on Thursday, March 1 from 7 pm – 9 pm. Christy was an award-winning artist at Art in the Park in 2017 and teaches classes in various mediums. Session IV: On Thursday, March 8 from 7 pm – 9 pm, Peg Bellm, a professional artist, will help you create jewelry with polymer clay in the colors of your choice. Peggy Bellm creates one of a kind items using polymer clay and is an award-winning artist at Art in the Park. Session V: Paulette Todd, artist and teacher, will teach you how to use calligraphy in an art project on Thursday, March 15 from 7 pm – 9 pm. Paulette regularly teaches classes in her business, Kids Art Club. Session I - Felting: On February 18 you will receive step-by-step instruction for felting with raw wool presented by Christi Dei, a fabric and fiber artist living in Highland. Session II - Watercolor: On February 25, Lynnette Schuepbach will show how to complete a watercolor piece of art. Lynnette has authored and illustrated seven books and is the chair of Art in the Park and President of Highland Arts Council. Session III - Polymer Clay: On March 3, Peg Bellm Carnley, a professional artist, will help you create with polymer clay. Peggy Bellm creates one of a kind items using polymer clay and is a frequent exhibitor at Art in the Park. Session IV - Painting with Pastels: On March 10 you will receive step-by-step instruction for using pastel chalks. Paulette Todd, owner of Kids Art Club and Paulette’s Painting Parties, will give the basics for expressing yourself through pastels. Session V - Alcohol Inks on Tiles: On March 17, Kathleen Hammock and Karen McAdams help you to experience alcohol inks using colored Sharpies and alcohol on four porcelain tiles. Kathleen is a retired attorney and mediator turning now to the arts. Karen is a local artist who developed her own style using alcohol inks after attending Art of Soul. 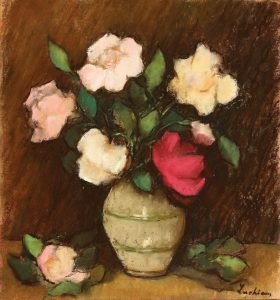 Session I - Painting with Pastels: On February 19 you will receive step-by-step instruction for using pastel chalks. Paulette Todd, owner of Kids Art Club and Paulette’s Painting Parties, will give the basics for expressing yourself through pastels. Session II - Watercolor: On February 26, Marty Spears will show how to complete a watercolor piece of art. Marty is a member of the Gateway Artist Guild, an artist, and a past art exhibitor at Art in the Park. Session III - Polymer Clay: On March 5, Peg Bellm, a professional artist, will help you create with polymer clay in the colors of your choice. Peggy Bellm creates one of a kind items using polymer clay and is a frequent exhibitor at Art in the Park. You will make a pendant and matching earrings (or other item TBD). Session V - Alcohol Inks on Tiles: On March 19, Kathleen Hammock helps you to experience alcohol inks using colored Sharpies and alcohol on four porcelain tiles. Kathleen is a retired attorney and mediator turning now to the arts. 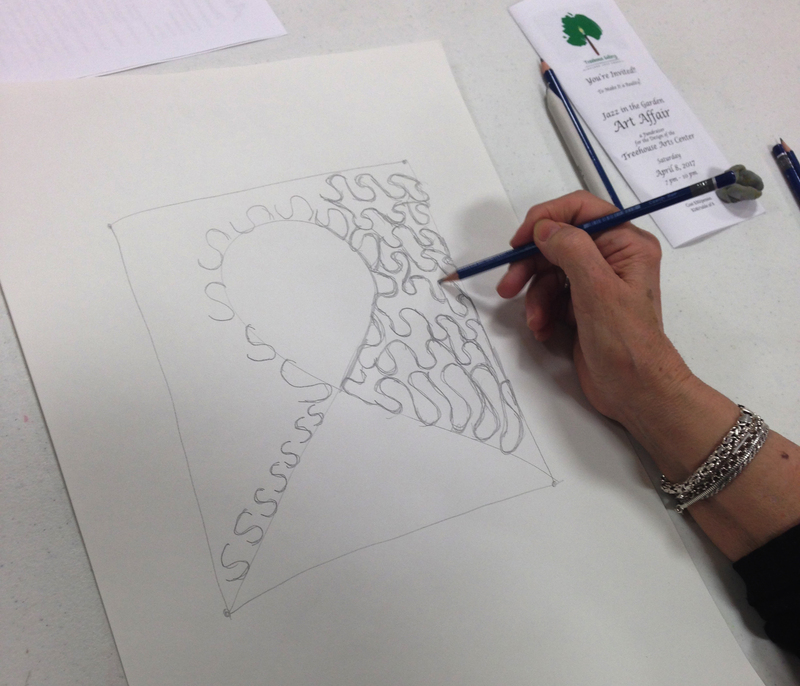 Session I - Drawing: March 6 will kick off Art of Soul filled with experiences in drawing. You will receive instruction in perspective, composition and balance in your art. Kathy Gomric, professional artist, member of Gateway East Artist’s Guild and frequent artist at Art in the Park, will give the basics for expressing yourself through drawing. Session II - Watercolor: On March 13, Lynnette Schuepbach will show how to complete a watercolor landscape. Lynnette is a member of Highland Arts Council, an artist, and an author/illustrator of nine books in which she uses watercolor illustrations. 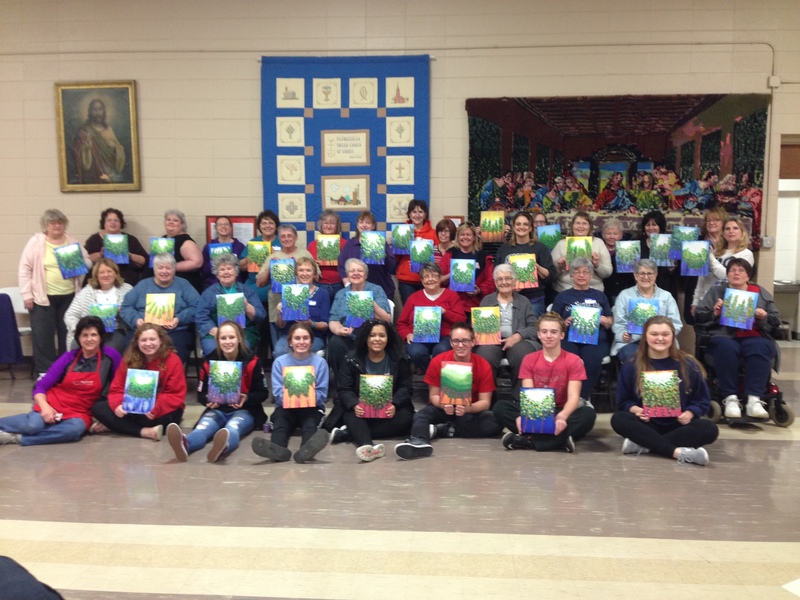 Session III - Screen Printing: On March 20, Pat Imming, a retired art teacher and artist-in-residence in Illinois and Missouri, will allow us to play with wearable art in fabric and screen printing. She has taught various ages and designed the mural which is on display in the Highland Square. 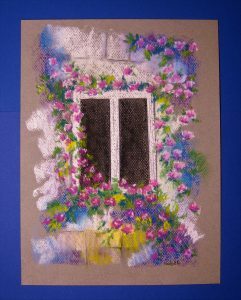 Session IV - Painting with Pastels: Paulette Todd will teach “painting” with pastels on April 3. Paulette owns Kids Art Club and Paulette’s Painting Parties, where she teaches drawing and painting to children and adults. For 12 years, her students have been her inspiration for creating vibrant, colorful artwork. Session V - Recyclable Sculptures: Sarah Walker will help us play with sculptures made from recyclable materials on April 10. Sarah Walker is a professional artist from Highland with expertise in oil painting, ceramics, and more. She earned her Bachelor of Fine Arts degree from Plymouth State University and currently serves on the Highland Arts Council Board.